His specific ire was toward a system that ignores the voice of the voting public, again and again. Being new to the study of government and politics, he couldn’t understand the “how” and the “why” a proposition voted on by a majority of Californians could be changed by a handful of politicians. One could sense the utter frustration this future voter was rightfully feeling. The bill was originally vetoed by Gov. 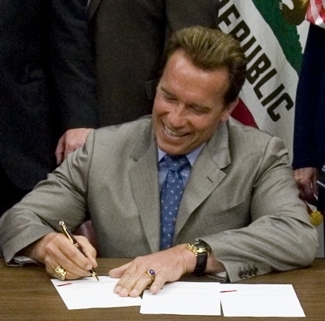 Schwarzenegger, yet this second time around he ignored the united voice of his constituents in favor of a well funded and vocal sliver of the population that screams “hate crime” if one disagrees with their homosexual lifestyle. The Liberty Counsel founder Mat Staver, who has litigated in California for almost six years to uphold the natural institution of marriage told LifeSiteNews.com that pro-family advocates as well as Liberty Counsel will mount a a legal challenge to SB 54. Proposition 8 reverses the State Supreme Courts ruling in Proposition 22 because “as a super-statute, only the people, not the governor or the legislature, have the power to override those provisions” he said. I suppose the moral to the story is that the battle never ends and one moral victory can be overturned by the one who wields the sword. Yet the voter must not give up when the government ignores his vote, but rather, he must “rage against the machine” until every democratic resource has been exhausted. California is notoriously liberal and its “rulers” are flippantly arrogant to ignore the conservative voice that comes out swinging each election cycle. The liberals have a choke hold, a well funded choke hold on our State’s capitol, yet Californians continue to go to the polls to speak over the din of dirty politics. Perhaps, one day, the head of this boa constrictor can be cut off and a sane, balanced compromise will again be found on the floor Sacramento. Tea Parties are Coming, the Tea Parties are Coming! 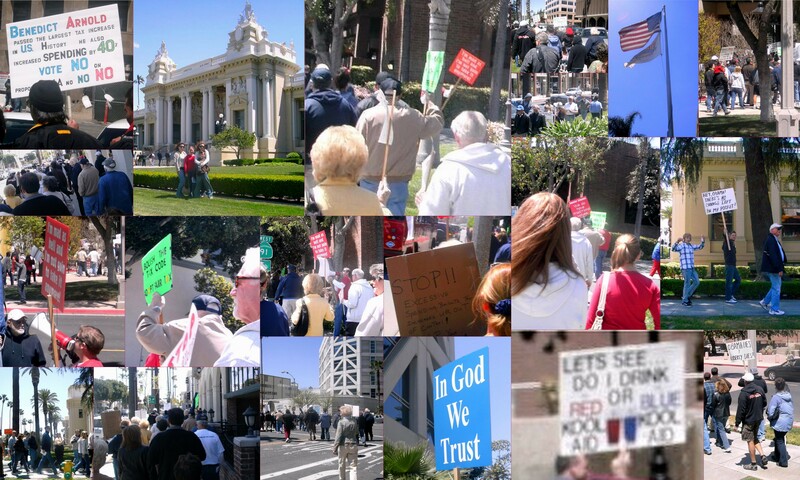 The Tea Parties are coming, the Tea Parties are coming! For a second showing, the Tea Parties are coming to a neighborhood corner near you on the Fourth of July, 2009. If the first event was missed, then participation is highly suggested. So come one, come all and bring your red, white and blue tea cups to share with others, in the ever growing frustration that has taken most Americans by storm. Is the storm brewing as a result of our twenty first century Tea Tax or is there a greater angst, a deeper discontent than just the enormous deficit that will be handed down to our great, great-grandchildren? I suggest that as with the colonist of the 1760’s, the taxation without representation was only a part of a greater injustice that was imprisoning the patriots who gave so much for us, their great, great, great-grandchildren. Would men fight and die because the tax man, in this case Britain, was assessing “unfair taxes”? The taxation they faced was only twenty percent of those being taxed in England, so where did the cry for independence gain in fervor? The issue that shook the world then and I believe is beginning to shake our world today is not just about the exorbitant taxes that Obama and Company is laying on the backs of millions, but the shackles brought on by an enormous government and the freedoms that are being stripped away, daily in the name of change, in the name of progress. The colonists didn’t shed their blood because they were angry that England was asking for more money, in fact after the War of Independence, colonists were taxed twenty fold more than they had been under the crown. The blood of these patriots ran on the soils of Lexington and Concord, Bunker Hill and Brandywine because their freedoms were being stripped away. What freedoms have been confiscated from the hands of private citizens today and given to the oligarchy on the hill? To sum up: Life, liberty and the pursuit of happiness have become endangered ideals under these ruling elite. Economic freedoms under government regulation, property rights, and the freedom to succeed and fail in business are just a few areas in which the government has overstepped the limits of its Constitutional powers as seen in the frantic vote of the Stimulus Bill. There is a strong arm push for mandatory government run health care. There is the deceit in the Obama plan for educational reform that strips parental rights to choose what is best for their children under the guise of the Convention on the Rights of Children, a treaty if ratified would supersede American law and sovereignty. The First Amendment is under attack through the Fairness Doctrine which was “rooted in the media world of 1949, when lawmakers became concerned that by virtue of their near-stranglehold on nationwide TV broadcasting, the three main television networks — NBC, ABC and CBS — could misuse their broadcast licenses to set a biased public agenda” this is being revisited by Pelosi and friends and yet we see Obama-mercials for his policies without the benefit of hearing from the other side of the discussion. Fourth Amendment rights are under attack as Obama is using the oft-disproved contention that “90% of the guns recovered in Mexico come from the United States” as the stated basis of his support for the international treaty he is promoting. The treaty is formally known as the Inter-American Convention Against the Illicit Manufacturing of and Trafficking in Firearms, Ammunition, Explosives and Other Related Materials (CIFTA) treaty. The list of liberties at risk is lengthy and could not fit into a mere blog. Perhaps our greatest liberty, the right to worship God, as guaranteed under the First Amendment, is our most tragic loss. Any honest reader of history will recognized that many of the first settlers in America came for religious freedom and the cost that so many paid for such freedom was the utmost price, their very lives or the lives of their loved ones. Individuals die for those things which have intrinsic value and the right to worship God, unimpeded by the government, is one of those invaluable rights. Today we see this First Amendment right under attack as evidenced by the H.R. 1592 that is pending committee in the U.S. House. This is a bill that would “criminalize thought or emotion or even speech,” said Glen Lavy of the Alliance Defense Fund. But I suggest that this attack began decades ago when the Supreme Court ruled in 1947 that it was unconstitutional for the government “to support any religious activities or institutions, whatever they may be called, or whatever form they may adopt to teach or practice religion.”2 in Everson v. Board of Education 330 US 31. Tom West of the Claremont Institute wrote, “The victory of relativism has made the Founders’ understanding of religious liberty alien to us. Liberty today is taken to mean “the right to choose,” the right to do whatever one pleases. Surprisingly, both liberals and conservatives agree on this definition. Their disagreement is over the extent to which government should impose limits on abuses of liberty. A sign of our shared view of liberty is that we often speak of balancing liberty with order, with responsibility, or with community. If we define liberty as the unlimited right of the irresponsible will, we do have to look to a source outside of liberty for some restraint on it. But if liberty is inherently responsible liberty, as the Founders thought, it does not need to be balanced by anything. It contains within itself its own balance. The liberty and freedom that American’s once enjoyed, free from governmental legislation, came from the idea of personal, conscientious self rule that denied self in the best interest of society or in closer context the best interest of one’s neighbor. There was also the belief of God or a Deity that had defined standards of behavior that human kind should follow because it was best for the individual and society. Because many Americans have shunned the notion that there is absolute truth and therefore absolute law, and because the government operates on the same premise, they legislated on what is good for now, for the ruling class, to remain relevant to the voting population. But those who have remained steadfast in the knowledge that there is in fact absolute truth and who temper their lives through self control and self rule for the best of society, will not only make a distinct stand against the direction of this type of government, but will also perhaps lose their rights to speak out against this abuse of power by the very government they hope to rebuild. So let the Tea Parties begin, but let them begin with the purpose of regaining the liberties that the Left has so easily taken from the American people. The fight is for the future, the fight must begin now, or the wars of the past, the signatures on the Declaration of Independence, the sacrifices of the Founders, the Colonists, the Military, the fathers and mothers, who for hundreds of years have given their utmost, will die in vain, as the America they founded dies on the threshold of the twenty-first century. Since we no longer distinguish between liberty and license, we no longer understand the Founders’ conception of liberty, including religious liberty. For them, the freedom to follow one’s religion should be protected, in Washington’s words, as an “inherent natural right.” No one may be harmed or punished for his mode of worship. But religious liberty is not religious license. Government may therefore prohibit religious practices that are criminal or immoral. And government may and should promote religious practices and convictions that accord with reason, which favors individual responsibility and political liberty. Reading, writing and arithmetic will be taking their summer break in a few weeks time. California teachers specifically may be looking for places to teach the “Three R’s” due to the inability of the State Legislature to do the needed reading, writing and arithmetic required of California school children, in the jobs they were elected to do. Fortunately the voting population of California was able to handle the verbiage in the propositions and crunch the numbers in a realistic manner, in order to send a message to Sacramento that the fools are not the voters of California, but the members of the State Legislature who seem unable to do basic math while trying to hide this inability to balance a budget in flowery, legal language. 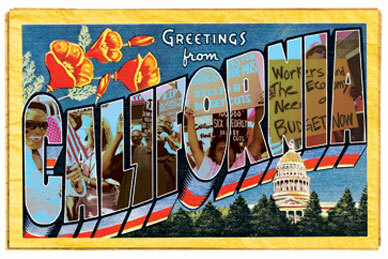 Though the California budget is complicated, the idea that cutting waste and spending is not. Every American household has done this very thing in order to weather the times in which we live. We do without specialty items, knowing that one day, the tide will change and the little extras will be affordable again. We clip coupons to save and carpool to lesson the gas burden. We give up our weekly Starbucks and make coffee at home and we pack lunches instead of eating out. As a mother, I give up my needs for the needs of my household, in order to keep it well and afloat when the storms of life rage. Why isn’t Sacramento able to see the value in thrift and true sacrifice? Why haven’t the “specialty items” been cut from the budget? The unwillingness and selfishness, of the legislature to do what best serves the people, is staggering. A new breed of legislator is needed, one who is willing to be a public servant without a paycheck. One who is willing to serve for the love of country and state and to leave when their privilege of service is complete, in order to allow another the opportunity to serve. Power corrupts, and the root of all evil is the love of the money that seems to line the pockets of many politicians. Most appear to have contracted this infection. It is as if, upon arriving in Sacramento or any other legislative body, the true “Swine Flu” affects the newly elected politician, and they are doomed from the start. The only way to handle this virulent strain of corruption is to do away with those who carry the disease, put them in quarantine and begin with fresh blood. We talk about education reform, campaign reform and budget reform, yet we the people seem unable to send those who corrupt our government to reform school, by voting them out of office. We must begin anew and elect those who can read, write and compute for the service of their fellow man and not for the bolstering of their esteemed careers. 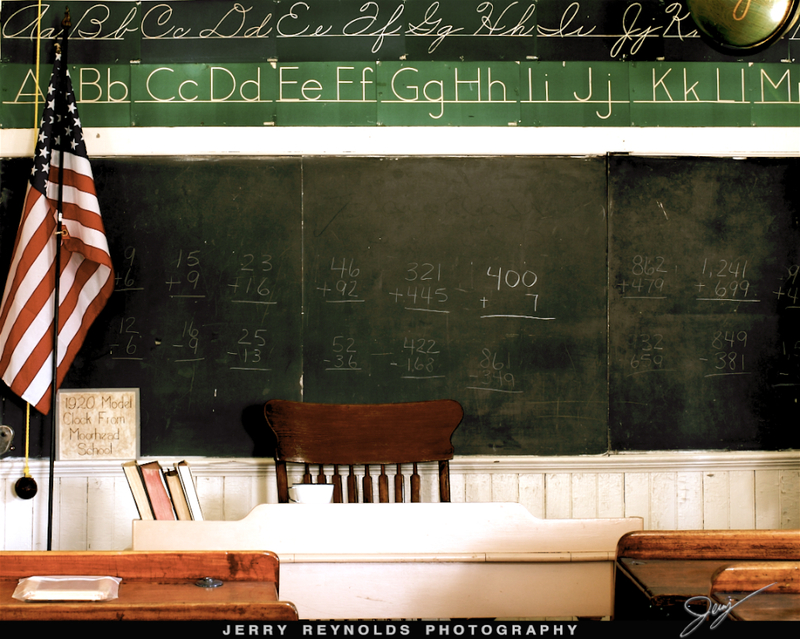 School may be out for the children of our nation, but it is high time that we teach those who serve us in elected office how to earn an “A” or to be on their way.